At the age of seven, my first carving experience was done with a sheath knife. I carved window ledges, banister rails. My parents were not impressed! At the age of ten, I had moved on to skinning the barks of trees and making spears. At the age of 16 I began a 5-year apprenticeship. 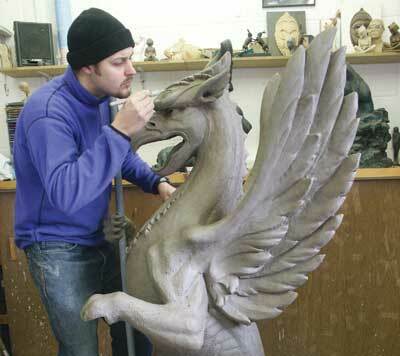 Here I learnt how to carve like the early 16th to late 18th century ornamental woodcarvers. I love creating in wood, and can't think of a better job to do. 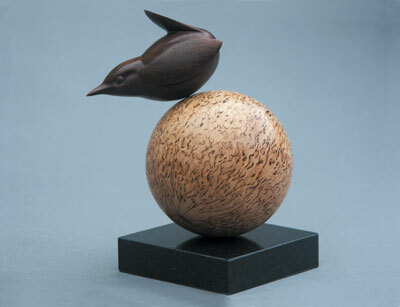 Wood inspires me, the subject to carve, the process of carving and the memory of my last successful piece. I am working on a pheasant in flight. Which carving tools wouldn't you be without? A 16mm U-shaped gouge. It's a tool I use to initiate form and life into a piece. The naturalistic slightly stylised style of carving is my preference. This style allows me to put a twist on certain areas of a piece. This method of carving came through years of experience. 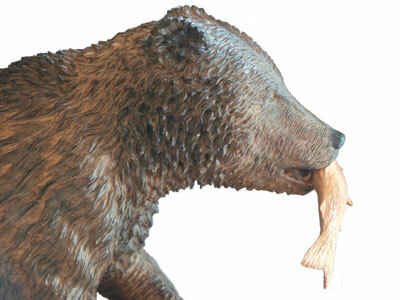 My biggest carvin achievement was during my mid-twenties I carved a bear emerging from the water. This piece also sold. Richard McDonald. 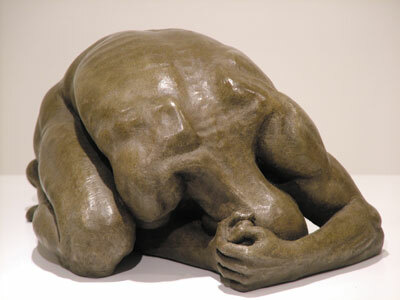 He is a sculptor whose pieces have incredible pose, accuracy with movement, and life. 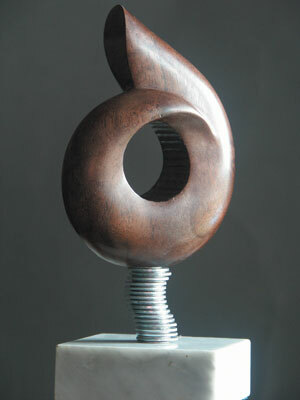 I would become a sculptor, using other mediums like stone to express my work. Describe the view from your work bench and the area in which you live. The studio overlooks a large garden with oak trees, and beyond are fields and fields. I will never forget, one day looking out of the studio window, seeing a sparrow hawk take a swallow on the wing. I enjoy working here. It's peaceful. Sometimes. On occasion I will be listening to Radio 4.
Who do you like to carve for? I enjoy carving for people who appreciate the work. Are you a self critic of your work? Yes, I am always looking at ways to improve certain aspects of the carving process. Plus, I tend to critic pieces which have been completed, to improve my next piece. "I love creating in wood, and cannot think of a better job to do"